This is one of the most important utility devices used by a magician. You will have the ability to perform endless number of magical effects with this bag. 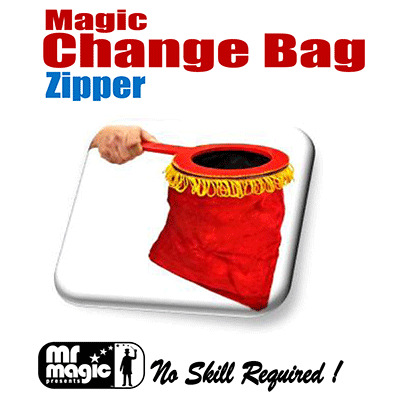 This is because the bag enables the magician to make items appear, vanish, exchange, grow or shrink! This magic trick is very easy to perform! The special feature of the bag is that it has a zipper at its bottom which can be opened so that the spectators can see right thru and there seems to be nothing hidden inside.